It sounds so compassionate that a politician proposes to use the power of government to mandate what salary a business owner must pay. The minimum wage persists as a fixture in public policy discussions because the idea remains popular with the general public. 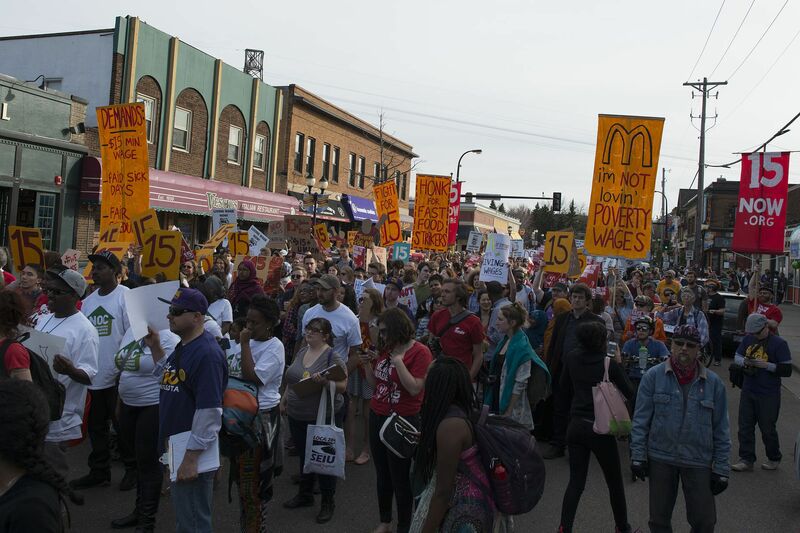 In a survey done by Pew Research in 2014, 73 percent favored increasing the federal minimum wage from $7.25 to $10.10. Bernie Sanders became a surprisingly popular presidential candidate, promising a federal minimum wage of $15. And now several left-wing organizations are mobilizing to pressure candidates in Senate races to support a $15 national minimum wage. Currently, two places now have enacted $15 minimum wage laws — New York, California and Washington, D.C. Reporting on the move in Washington, D.C., to a $15 minimum wage, The Washington Post explains that "Supporters, mostly Democrats, say a $15 floor is needed to help close the country's growing income gap, especially in big cities." Really, it sounds so beautiful. Politicians wave their wand and dictate wages. But to ask the obvious question, why only $15? Why not make it $20? $30? $50? Let's recognize that there is something to the social science we call economics. One rule of that science is that demand runs opposite to price. If the price of soap is raised from $2 to $5, consumers will buy less soap. And, if the price of soap is lowered from $5 to $1, consumers will buy more soap. Wages are the price of labor. It stands to reason that this follows the same rules as any market. The higher the price for labor, the lower the demand and vice versa. Again, it sounds so compassionate that a politician proposes to use the power of government to mandate what salary a business owner must pay. But what politician, even one who proudly calls himself a socialist like Bernie Sanders, would claim that government can mandate how many workers a business must hire at the wage government mandates? Politicians mandate a minimum wage and then business owners simply comply because they have no choice, but then they hire fewer workers. We can see the latest evidence in the nation's capital: Prior to the recent move to raise the minimum wage to $15, which is scheduled to go into effect fully in 2022, there have been two recent minimum wage increases. A minimum wage hike to $10.50 went into effect in July 2015 and then this was increased to $11.50 in July 2016. University of Michigan and American Enterprise Institute economist Mark Perry reports, using recent data from the Bureau of Labor Statistics, that "Since the DC minimum wage increased in July 2015 to $10.50 an hour, restaurant employment in the city has increased by less than 1 percent (and by 500 jobs), while restaurant employment in the surrounding suburbs (in Virginia and Maryland) increased 4.2 percent (and by 7,300 jobs). An even more dramatic effect has taken place since the start of this year — DC restaurant jobs fell by 1,400 jobs (and by 2.7 percent) during the first six months of 2016 ... the largest loss of District food jobs during a 6-month period in 15 years." Perversely, low-wage earners that the minimum wage is supposed to help are the ones hurt the most by shrinking the demand for their labor. In the first quarter of 2016, overall black unemployment in Washington, D.C., was 12.7 percent, compared to 8.5 percent and 7.0 percent in neighboring Maryland and Virginia. And the gap in unemployment between whites and blacks in Washington, D.C. — 2.3 percent for whites compared to the 12.7 percent for blacks — was the highest in the nation. Earlier this year, Wal-Mart canceled plans to open in two new locations in the nation's capital, partially because of labor regulations. If we really care about low-income workers, let markets be free, let businesses create jobs, and let's fix our schools so poor kids can get an education and move up the ladder.